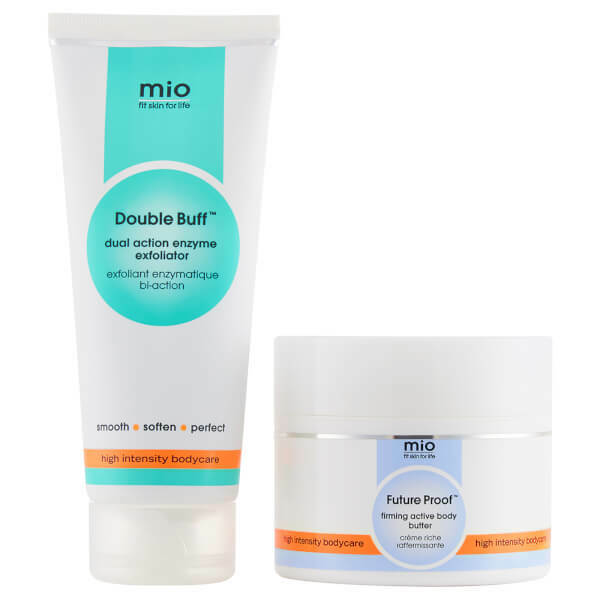 The Mio Skincare Prevent Dry Skin Duo, the perfect body care routine to nourish and protect dry skin. Double Buff exfoliator and Future Proof body butter work together to tackle dry skin and leave the body hydrated and nourished and set to glow. Double Buff Enzyme Exfoliator polishes your skin without the use of any rough beads; Pumice, Lava and Bamboo blended with Papaya and Pineapple enzymes combine to gently exfoliate. Formulated to help reveal a soft, evenly toned skin that’s ready to glow. Quench skin’s thirst with the Future Proof Body Butter. The rich formula delivers deep moisture to skin, leaving skin feeling nourished with a radiant glow. Fortified with a hydrating blend of vitamins and ingredients containing antioxidant properties, which helps to strengthen skin and relieve dryness. Body Butter: Try using on shower damp skin, to help seal in extra moisture. 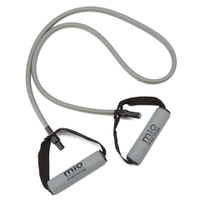 Once a day is plenty – this super strength formula will give you 24-hour hydration. To reap maximum benefits, use deep, upward strokes toward the heart. Exfoliator: 150ml / Body Butter: 240g. Finally my two favourite products combined in a bundle. I use the body butter everyday and the peeling twice a week, it leaves my skin silky smooth! Will continue buying them!